As part of our Lenten journey we are raising awareness of the works of Caritas Australia. Through Project Compassion millions of Australians come together in solidarity with the world's poor to help end poverty, promote justice and uphold dignity. Throughout this term, under the leadership of our Faith & Service and Values Captains, we are learning about the work of Caritas and raising funds to help support them. Each class has a Project Compassion Box for donations to be placed. We thank you for your support and generosity. Six of our Student Leaders, together with Trish and parent volunteer attended the St Patrick’s Day Mass for schools at the Cathedral in the city. It was a fantastic day where students from Catholic Primary and Secondary schools all came together for a Eucharistic Celebration. Our students did themselves and our school proud. Our students have made a video, narrated by two of our student leaders, Harry and Paula – who have thought hard about what they feel proud of about our school and what they want people to know about us!! We are very proud of our school, our students and staff and feel privileged to be a part of an amazing community. Please contact us if you would like to learn more about our school. Entertainment Book 2018 – 2019 is now available for purchase. To receive your digital or hard copy version please follow the link below. ensure that you add Saint Peter and Paul’s Primary School Doncaster East as the organisation you are supporting. This year all memberships are to be paid for online as the office will not be accepting orders or payment. 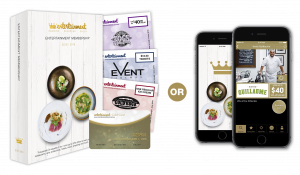 As a point of interest, when you purchase a digital copy you can actually install the app on TWO devices of your choice so that your savings can truly be maximized and you also have constant updates of new offers available. We aim to share information to communicate with you, and if you are not familiar with our school, our community and philosophies, we hope you will follow us and get to know us a little. Visit our Out of School Hours page for our April 2019 Vacation Care Program - bookings are open now! 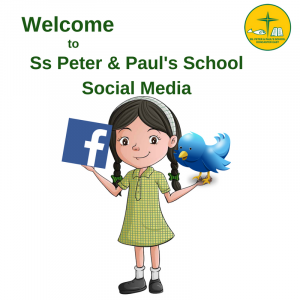 Ss Peter & Paul’s is a SunSmart School. We encourage you to apply sunscreen to your child during Summer. The hat is a part of our uniform and is compulsory for outdoor wear during the Summer months. Overexposure to ultraviolet (UV) radiation causes skin and eye damage, ultimately leading to skin cancer. A UV Index reading of 6 to 7 means a high risk of harm from unprotected sun exposure. Protection against skin and eye damage is needed. Reduce time in the sun between 10 a.m. and 4 p.m. If outdoors, seek shade and wear protective clothing, a wide-brimmed hat, and UV-blocking sunglasses. While your child may not wish to wear sunglasses at school, a hat is a part of our Summer school uniform and must be worn outdoors throughout Summer. For more information about being SunSmart, the following resources are very informative.